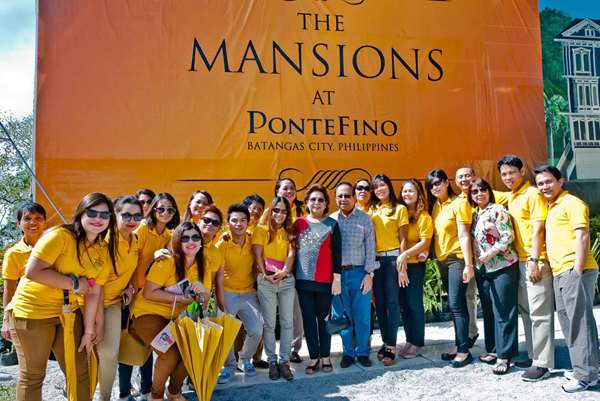 Launched last December 17, 2013, The Mansions Duplex at Pontefino presents an upscale living and a relaxed luxury located in a quiet corner of Batangas City’s most desirable lifestyle address. Its floor area of 220 square meters offers a 4-storey high-class plan with 3 bedrooms, 3 toilet and bath, powder room, utility room, dining and kitchen areas, living room, family room, maid’s quarter and a 3- car garage. Along side the rows of 48 duplex units will be the Mansions Clubhouse and swimming pool. Owners enjoy the luxury Pontefino offers with discount rates at Hotel Pontefino.